He is a Founder and Coordinator of MSESSD Program as well as Associate Professor in the Department of Architecture, Institute of Engineering (IOE), Tribhuvan University. 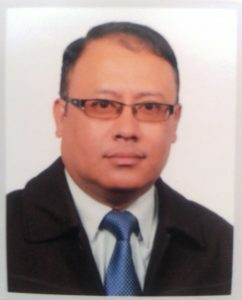 He did Ph.D. thesis on “A study on thermal performance of traditional residential buildings in Kathmandu valley’’ from Tribhuvan University in 2013. He was engaged in research and projects on passive solar design, energy efficiency in buildings, Green building design, etc. He had designed the Rastriya Naachghar (Theatre) in Jamal, Kathmandu as well as many academic, institutional and residential buildings in Nepal.